BioMax Whey True Protein (97%) (whey protein concentrate (milk), whey protein isolate (milk), hydrolysed whey protein (milk)), flavourings ,magnesium citrate, thickener (cellulose gum ), colour ( curcumin ), sweeteners ( sucralose). 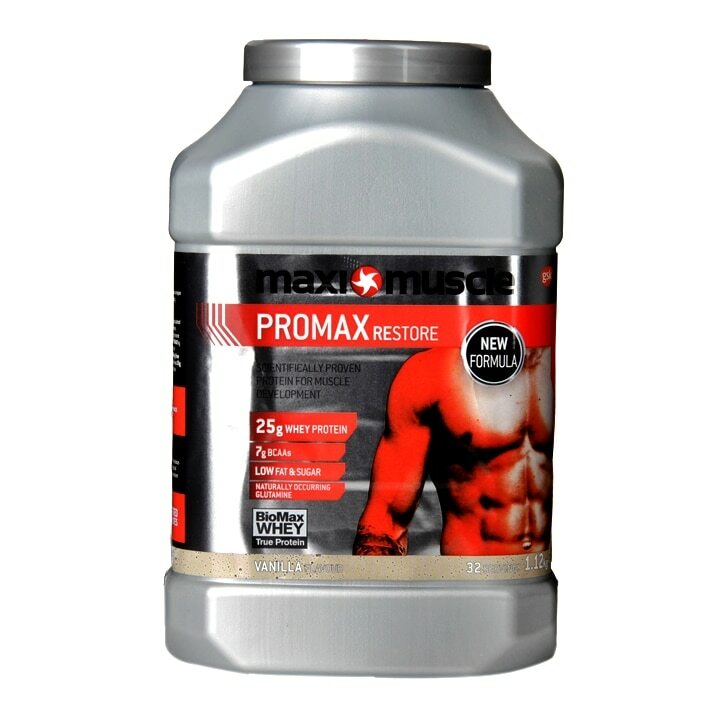 MaxiMuscle Promax Powder Vanilla is rated 4.3 out of 5 by 3. Rated 4 out of 5 by Hanolou from Vanilla protein powder Great product, bought it all the time, other flavours are also worth a try.